For many years, the continuous positive airway pressure, or CPAP, was considered the gold standard for treating sleep apnea. A CPAP delivers constant air pressure that keeps a person’s airway open. If used consistently, the CPAP works. However, that consistency is not always reliable, because patients often find the CPAP uncomfortable or claustrophobic. Some also say the CPAP causes a dry nose and throat, skin irritation and nasal troubles. Nevertheless, treating sleep apnea is imperative. Sleep apnea is a chronic medical condition that temporarily halts breathing when your airway becomes blocked by your tongue and tissue in your throat. Each sleep apnea episode can last anywhere from a few seconds to a full minute. And although you may have no recollection of a single episode, sufferers are known to have dozens each night. The cumulative effect results in a whole host of troubles including daytime sleepiness, morning headaches, dry mouth and throat, lack of concentration and memory problems. In addition, sleep apnea is proven to be connected to a number of general medical conditions. Most notably is hypertension, or high blood pressure. The temporary halt to breathing causes your heart to work harder in order to pump blood and oxygen to vital organs. Along with the development of high blood pressure comes the threat of heart disease, heart attack and stroke. Fortunately, there are viable CPAP alternatives in Plano, Texas, and those are our specialty at Sleep Rehab. 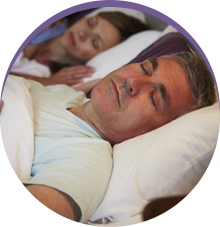 We treat obstructive sleep apnea—which happens when the airway becomes blocked—with oral appliance therapy. Unlike cumbersome CPAP masks, our oral appliances are easy to wear every night so sleep apnea sufferers can commit to their treatment. Oral appliances for sleep apnea are shaped much like an athletic mouthguard. By holding the lower jaw forward, and thereby holding the tongue forward, these appliances prevent the airway from collapsing during sleep. Sleep Rehab is proud to offer oral appliance therapy. 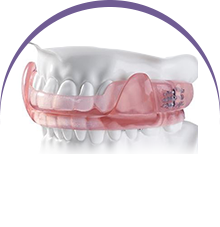 Made of strong and durable polymer material that is completely biocompatible, oral appliance therapy is metal-free, flexible, and extremely lightweight. The device is adjustable and comes with a three-year warranty. To extend the life of your oral appliance, Dr. Fedosky has specific recommendations for cleaning and storage. Just as you brush your teeth in the morning, you should also clean your oral appliance. First, remove the appliance from your mouth and rinse in lukewarm water—never use hot water as this can eventually cause an oral appliance to warp. Then, gently brush the appliance with a soft toothbrush but not the one that you use to brush your teeth. The small abrasive particles in toothpaste can scratch the smooth surface of the device. Be sure to clean each surface. Rinse again with warm water and then dry the appliance with a towel. Always store the device in its storage box and in a place where children and pets cannot reach it. 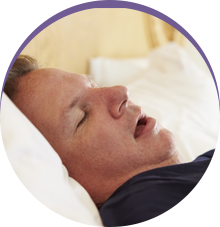 If you suspect that you or a loved one suffer from sleep apnea or snoring, contact Sleep Rehab today to see how we can help. Our knowledgeable staff can give you more information about sleep apnea, snoring, our services, the availability of a sleep study in Plano, Texas, and the best way to get started with treatment. Contact us today!